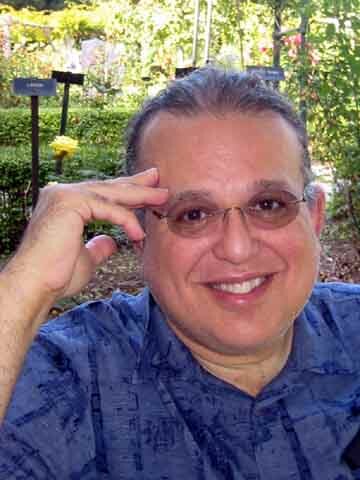 Mixed Meters advocates a careful re-thinking of holiday celebrations in the United States. Click here to read previous MM holiday-related posts. The big holidays have become infected with far too much uniformity, too much capitalism and too much mindless over-eating and over-drugging. Meanwhile there are a host of other holidays which really deserve our attention. They would make good occasions to hang out with family and friends. Some of them happen right about now in mid June. The Summer Solstice happens this year on June 20 one minute before midnight. It's okay to celebrate on Saturday the 21st. If you ever wanted to stay up carousing all night, this is the easiest night to do it. June nineteenth is Juneteenth and June twelfth was Loving Day. In a country which I hope will have a partially African-American President next January (and in which gays are gaining the right to marry) such celebrations ought to be more meaningful than ever - for all of us. Bloomsday is Monday, June 16. It's a Mixed Meters favorite because it celebrates a story of modern life told in a modernist style (but with links to tradition) and because it's about a Jewish man who doesn't get nailed to anything. Drinking the sacred wine of Bloomsday, Guinness (which I can't stand), is optional. Please note - none of these holidays are Father's Day (June 15 this year) which is not a Mixed Meters approved celebration. Any holiday for which companies buy media advertisements designed to get you to buy their products is bogus. If you are lucky enough to have a father you should honor him every day. And that brings us to today, June 14, Flag Day. Flag Day is usually a celebration only for the "my country right or wrong" crowd. However, I suggest that those of us who want to see improvements in our country should adopt Flag Day for our own purposes. Flag Day should be a sober day on which we recognize that the symbol of our country has come to represent too many evil deeds committed in our name. Others who see our flag may well think of all the destruction, murder, torture and lying done under the color of the Red, White and Blue. We cannot ignore such associations. 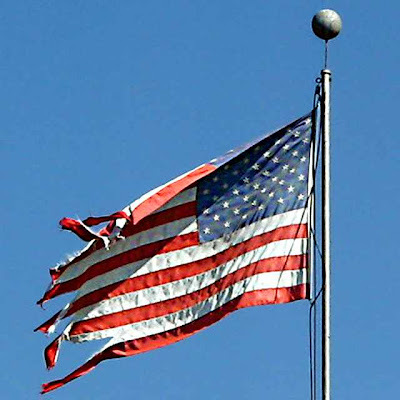 Each time we tell the world that we are "defending democracy" while actually destroying our own democracy bit by bit, the flag shreds, bit by bit. Here is a short movie - less than 90 seconds - in which I feebly attempt to portray the sorry state of our national emblem with images and abstract music. All the flags were photographed as publicly displayed in Pasadena California. Warning - this video is very iconoclastic. Click here if you're not so sure what an iconoclast is. Thanks to Paul Bailey for mentioning Loving Day. Also thanks to Tom Turner for reminding me of the meaning of the word iconoclast. If you're a "my country right or wrong" type, this post at the WFMU blog might warm your ever-loving pea-pickin' heart. I barely caught Bloomsday in time this year being on the opposite of the earth of where i am used to it! NICE, IT'S AN INTERNATIONAL HOLIDAY. Alternated reading a chapter out loud with the better half. I just looked up the date of the first performance of The Rite - May 29, 1913. So, in less than 5 years it will have its centenary. Mark your calendars now. But this is the first time I've heard the notion that the anniversary of the Rite was a worthy holiday.